With fear of property price fluctuations, economy shifts and the government’s budget right around the corner, it is high time I did a blog on debunking some of the conventional myths about property investing in the current market. There are a number of reasons why real estate investing remains the most popular investment pick in the country. And it’s more than just the capital gains perspective. A primary strategy can also be for cash flow. Property offers many different strategy and outcome options based on short and long term, high and low yield. Take the NRAS (national rental affordability scheme) for example which is a partnership between the Australian Government and the States and Territories to invest in affordable rental housing which can lead to a positive cash flow investment. 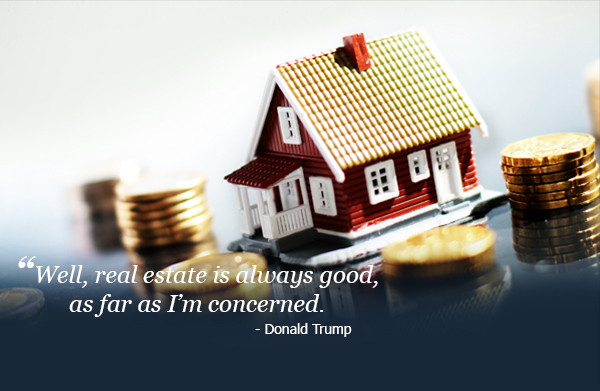 A rising trend in investing is through Real estate investment groups which is like a small mutual fund for rental properties. If you want to own a rental property, but don’t want the hassle of being a landlord, a real estate investment group may be the solution for you. When comparing investment classes and talking cash down VS percentage of return value, real estate generally comes out on top. On a typical real estate investment, you usually require a deposit of 5-10% of the value of the investment while the bank puts in around 90% of the value. And if you’re really savvy, you can find investors to cover some of the deposit, limiting your cash outlay. This allows you to have the potential for a much greater return on investment (ROI) and leverage up to 90% of your assets performance on someone else’s money. Read about the world’s leading investors both past and current and one commonality can be formed from their varying strategies. You buy when things are down and sell when things are up. Simple strategy yes? But not as easy to execute. These investors have the insight, liquidity and guts to invest during times of market turmoil when fear and uncertainty are at their highest and most investors and buyers are running for the hills or sitting on their hands. The best deals are made in times like these. With property investment, the value comes from the rent your tenants pay (this is your gross income). Just like a business, you calculate your gross expenses and subtract them from your gross income to determine if the resulting net income is worth the investment. Investment properties such as positively geared and positive cash flow investments also make it possible to hold an investment property that will cover your operating costs, like repairs and maintenance as well as your loan expenses. The NRAS (national rental affordability scheme) can also assist with this strategy that lets the rent pay off your mortgage and allows eligible individuals and families are able to rent NRAS dwellings at a rate that is at least 20 per cent below market value rent. There is some hidden profit opportunities that real estate provides and that’s getting smart and knowing your possible tax benefits. Most of us know about negative gearing reducing your overall taxable income by allowing you to claim the difference between income and costs as a deduction. Make sure you are aware of any costs associated with your property investment can also reduce your income as there are a wide range available to claim. Depreciation is another tax benefit that property investors can claim. You can depreciate a percentage of your property each year as a loss, lowering your taxable income. Some investment properties also qualify for ‘capital allowance’ or ‘building allowance’ depreciation. In this case, depreciation is related to the building itself. Additionally, there are many other benefits you can discuss with your accountant or financial planner. No matter what the market, these benefits add up to why you should consider investing in real estate.